The Improving Bereavement Care Team at Sands is currently working to develop an electronic version of the Sands Teardrop Sticker for medical notes. These stickers have been developed as a notification system for parents’ medical notes following the death of their baby. The sticker is intended to alert healthcare professionals to the parent’s loss in order to avoid distressing situations and inappropriate questions during follow up appointments and subsequent pregnancies. Sands are looking for bereaved parents to spend five minutes where possible for their input to aid the development of this resource. We’ve been shortlisted again to be the local charity partner for the Eltham branch of Sainsbury’s. Please vote for us, by clicking here, entering the required postcode to find the Eltham store (one beginning SE9 tends to work well) and click to vote for us. This year’s butterfly release is due to take place on Sunday, 7th June. The release will begin from 11am in the Rose Garden of Greenwich Park. One of our members recently found out that the funding for a SANDS room at Lewisham Hospital has been in place for years but they have decided for whatever reason that it is not a priority. Considering one bereaved couple raised £11,000 by themselves she was really shocked and upset to hear this. She wrote to the chief executive of Lewisham Hospital and Heidi Alexander to express her concerns and ask them to look into the matter. She is hoping that a few more people will also write to him/both of them, this might push Lewisham into actually doing something. I’m … my daughter …..was stillborn on the 30th of June last year in Lewisham. If you also had your (stillborn) baby there you will have had to endure giving birth in a regular room on the labour ward because Lewisham doesn’t have a SANDS room specifically for such circumstances. A couple of weeks ago I discovered that the money for a SANDS room is in fact in place and has been for quite some time. Apparently turning the room they have earmarked into a SANDS room is just not a priority for them despite it being constantly raised at meetings by a number of people who understand the importance of the hospital having one. I think this is disgusting especially as many bereaved parents have raised money to pay for it. I am hoping that you will feel the way I do and want something done about this. I thought I would write to the chief executive and explain the distress I feel about this situation and also explain the positive effect I believe having that room would have had on our terrible experience of losing our daughter. I hope that some of you will also consider doing this. Those of you who did have the experience of a SANDS room at another hospital might think about writing to him to say how you feel having had access to that facility. I am also, as a constituent of Heidi Alexander going to write to her to see if she can put any pressure on them to move the project forward. I would really appreciate any of you also writing to him, you never know maybe it will help to push them to finally do the right thing. His address is below. Incredibly, every day in the UK, 17 babies are stillborn or die shortly after birth. For the devastated parents, family and friends the question is simply why? Why did their precious and much wanted baby die? At Sands we ask the same simple question, why? Why are so many babies born dead every year? Why do some babies die in the very first weeks of their young lives? Imagine for a moment how that feels for those left behind. Every baby is special – the bond between parent, family and baby begins long before birth. You can feel a baby moving in the womb, watch it grow, imagine what sort of person he or she might become, dream of the future. Love is there very early on. The impact of the death of a baby ripples out to everyone involved. 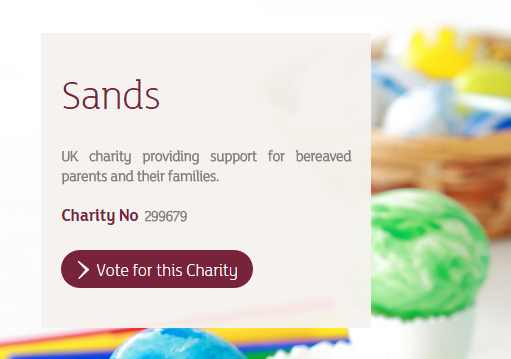 Sands knows that much more could be done to prevent these tragic and cruel deaths. 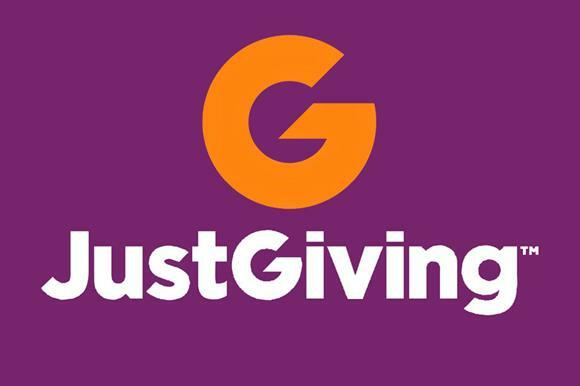 We have been selected by Sainsbury’s in Eltham to be their charity of the year from June 2014. This website article would be an expanded version of that which was contained in the email newsletter. Can contain many more images/photos, and gives an opportunity to cover off something in greater detail than a newsletter would allow.